We have the perfect VPS to suit your needs! Our Linux VPSs give you highly available and seriously flexible Xen based virtual private servers. They come with complete control including full root access and your choice of Linux operating system; and with SSD storage, they're lightning fast too. Our Windows VPS are all physically located in the Melbourne data centre to provide low latency to your Australian customers. We run highly performant SSD Storage to give your Windows Server the best possible performance. The best in virtualization technology, enhanced with all the best features! All our VPSs provide 100% dedicated RAM. We don't risk over-commitment with burstable/shared RAM. Our advanced virtualization system ensures that all VPSs get a guaranteed share of CPU cycles. All our servers are located in the Melbourne data center. Upon completing the order process setup of your VPS is immediately started and takes minutes. You receive a public dedicated IP address (2 for cPanel accounts), you can order more through our control panel. Our premium bandwidth providers combine to provide fast access to your VPS from anywhere in Australia. 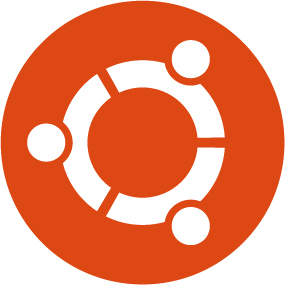 Offering Windows and many Linux variants including popular Ubuntu, CentOS, Debian, Fedora variants and more. In the event that the physical computer your VPS is running on fails, our systems detect this and automatically mount your VPS on another available computer, then they automatically point your IP address to the new system and your VPS is brought back online in the exact state it was when the failure occurred. This is a free option called 'High Availability' and uses SAN storage (100% SSD). Your entire VPS backed up twice weekly, you can restore individual files or your entire VPS. We retain at least 5 backups. This costs just $19.95 per month and can be added during the VPS order process. Alternatively you can purchase SATA space which is mounted as a second disk on your VPS so you can back up directly from within your VPS, priced at only 20 cents per GB. Your entire VPS backed up twice a week to an offsite location. We retain at least 3 backups offsite. VPSBlocks can also cater for custom backup requirements on request. This costs $29.95 per month and can be added during the VPS order process. VPSBlocks network includes feeds from Telstra, Primus, Sole TPG, NextGen, WAIX and PIPE. This ensures maximum network efficiency and minimal downtime if any routes are disrupted due to provider issues.</p><p>BGP routing ensures that your connection always takes the shortest route, selecting the best path through our network partners from your location. 99% of DDOS attacks originate from outside Australia. We route all international incoming traffic through a DDOS scrubbing centre in Melbourne. We have direct cross connects to the scrubbing centre to ensure minimal latency for our international clients.</p><p>The scrubbing centre inspects and scrubs traffic and ensures that only clean legitimate traffic reaches our network. We offer free of charge the ability to create your own firewall rules. These rules are entered into our incoming firewall to prevent hackers from scanning your VPS for potential vulnerabilities.</p><p>Our control panel enables you to make changes to your hardware firewall rules in real time protecting your VPS. For added security you should also configure and run the local firewall on Windows and Linux VPSs. Make managing your server or your business easier with one of these control panels. Premium panels, billed monthly, preinstalled. Simply select one of the control panels below then configure your VPS. Availiable as an optional extra with any Windows or Linux VPS.